To the uninitiated they look like a large doorstop or a slightly squashed cannonball with a handle. Kettlebell weights are starting to change in shape slightly as more manufacturers see the increase in sales and popularity of this really very simple and easy to use piece of gym equipment. You will usually be able to find either 'naked' cast iron kettlebells or increasingly common are a rubber or plastic coated version which helps to prevent scratches on studio floors! There are various weights and sizes available ranging from 4kg through to 24kg and upwards. Why Buy a Kettlebell Though? Having been around for many years, it's a surprise it's taken so long to go mainstream. Used in the Highlands Games for throwing over a high bar, the kettle bell is also reputed to have been used by the Russian army. 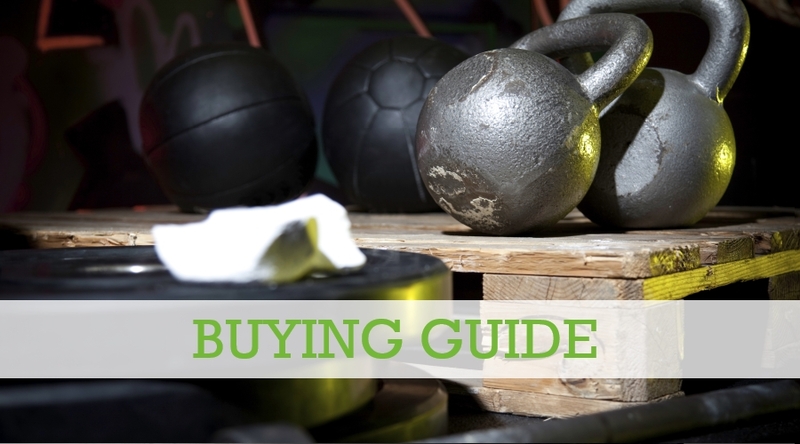 Whatever the history, the fact is that kettlebells are an easy to use, cost-effective and easy to store piece of strength equipment for your gym. You can get all range of sizes and weights and now they even come with "wrist safe" design and of course the plastic coating to prevent scratches on your nice new wooden or slate floor! As with many simple pieces of gym equipment, there's actually quite a range of exercise you can do, working lots of muscle groups. From variations of standard moves that include bench presses, bicep curls and rows to fast-moving ballistic motions such as snatches, swings, cleans, and jerks. There are literally hundreds of combinations of workouts and exercises that you can do. Think of regular free weights and what you can do with your chest, shoulders, legs and back. The exercise you do needs to be carefully watched as these heavy chunks of iron are perfectly capable of doing you some injury. Also don't forget to warm up as it is easy to pull a muscle. You can incorporate kettlebells into almost any strength workout and if you have bought the right range of bells, as you get stronger you won't need to go straight out and buy another complete set, you can add on the precise weight you need.